Jewelry can transform your entire look – but sometimes not in the way you want. From time to time, people go to jewelry stores to ask about skin discoloration. Although you may typically associate this problem with cheap costume jewelry, it can occur with fine jewelry, too. However, there are two main reasons why this happens. Norman Hege Jewelers has the answers you’re looking for. If you notice black smudges on your skin after wearing a piece of jewelry, it may not be the jewelry’s fault! This smudging is caused by a chemical reaction between the jewelry’s metal and some type of ingredient in your cosmetics, lotion, or sunscreen. The most common chemical reactions occur with zinc oxide, ferric oxide, titanium dioxide, pumice, and calamine. If this happens to you, start reading the labels before you apply anything to your skin to see if you can determine the culprit. Skin discoloration can also be caused by an allergic reaction to a particular type of metal. Nickel, zinc, copper, and sometimes even silver are the most common metals that cause allergic reactions. 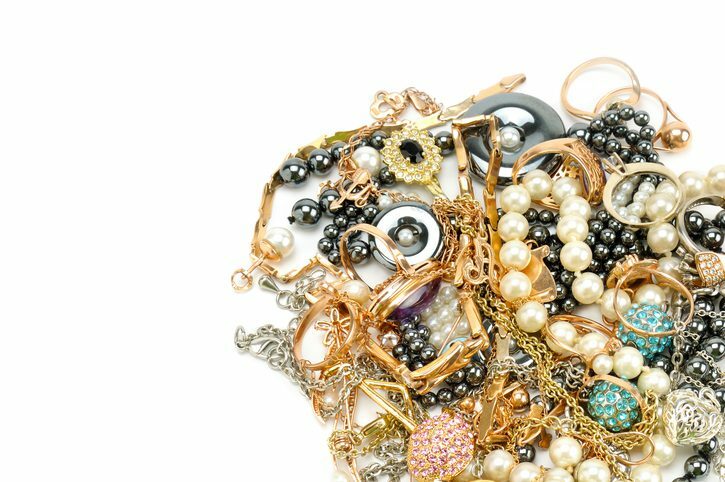 Many of these metals are found in cheaper jewelry. If you have other symptoms besides skin color changes, including itching or a rash, contact a doctor. If you notice any type of reaction, immediately take off the jewelry. If the reaction seems severe, please seek medical attention. A doctor can determine whether you’re having an allergic reaction. If it’s not an allergic reaction, take the piece to one of the jewelry stores in your area. Tell them about the skin discoloration you experienced and get their opinion on what you should do when wearing it, especially if it’s fine jewelry. Norman Hege Jewelers is here to serve you. As one of Rock Hill, SC’s leading jewelers for rings, we have the knowledge, expertise, and quality you won’t find at online jewelry stores. Shop with us for necklaces, watches, and more!